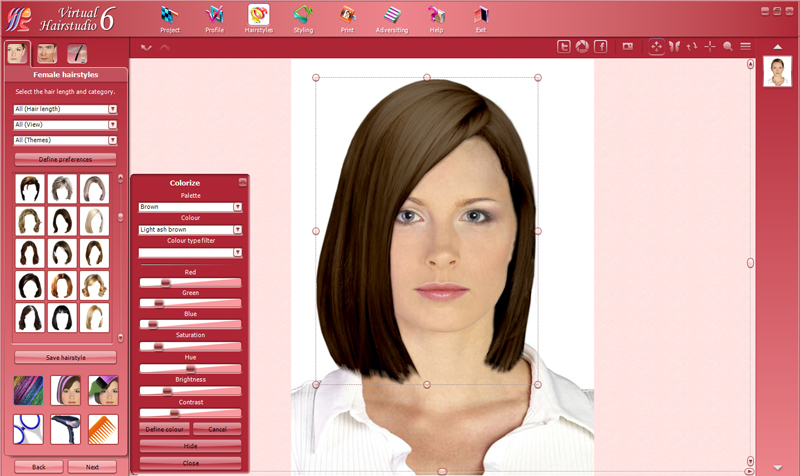 Virtual Hairstudio 6 for hairdresser salons lets you visualize your ideas and show your customers their new look even before you cut or colour. 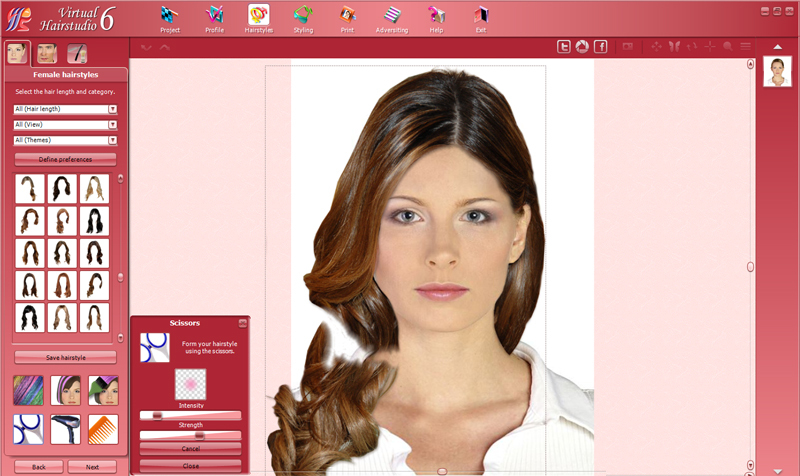 With Virtual Hairstudio 6 you offer your customers a computer-aided before-after consulting, color type consulting, style consulting and much more. 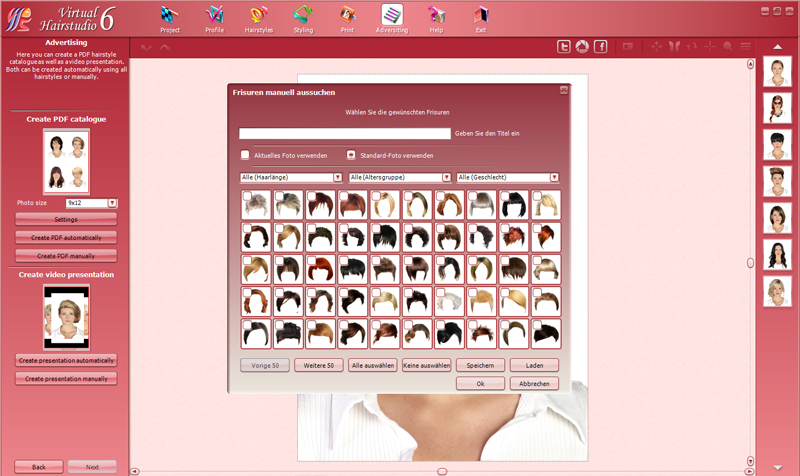 Virtual Hairstudio 6 uses a digital photo of the customer and offers you and your customers about 500 actual, trendy hairstyles in a photo quality. 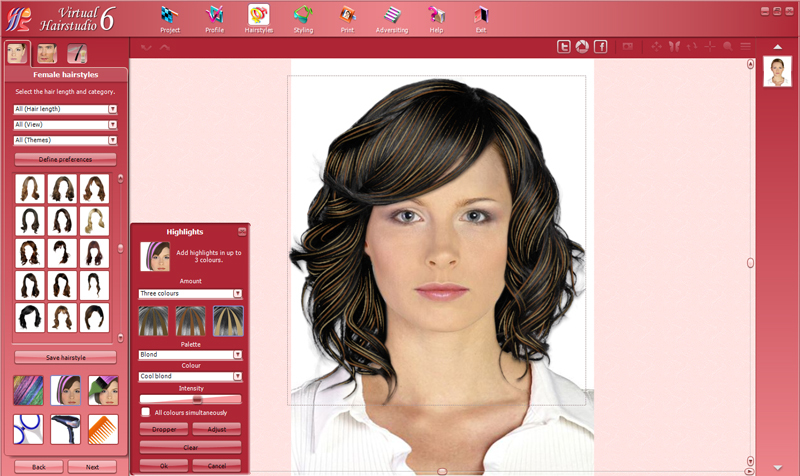 Discover the most actual hairstyles in the 6th version of Virtual Hairstudio – a successful hairstyle and style imaging software for hairdressers, stylists and more. 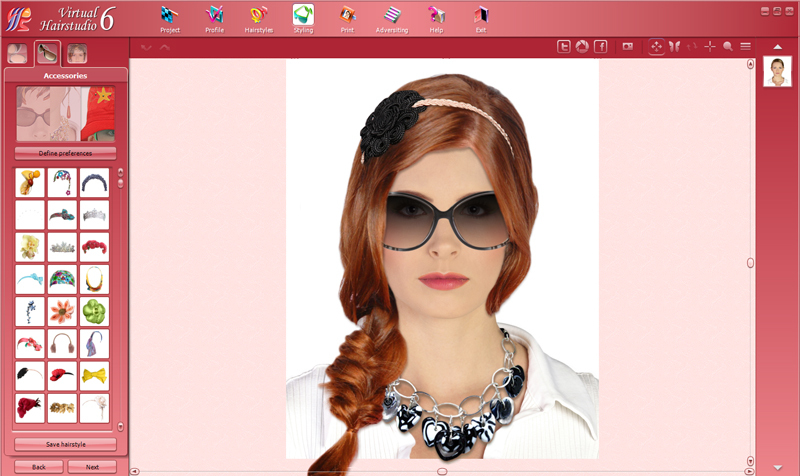 Animate your show window – with an adjustable slideshow presentation! 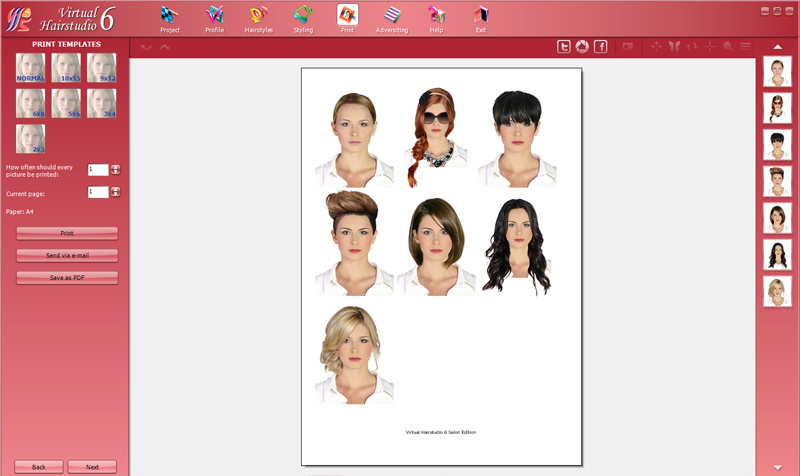 Create hairstyle catalogues for your clients. Take advantage of a well-arranged user interface. 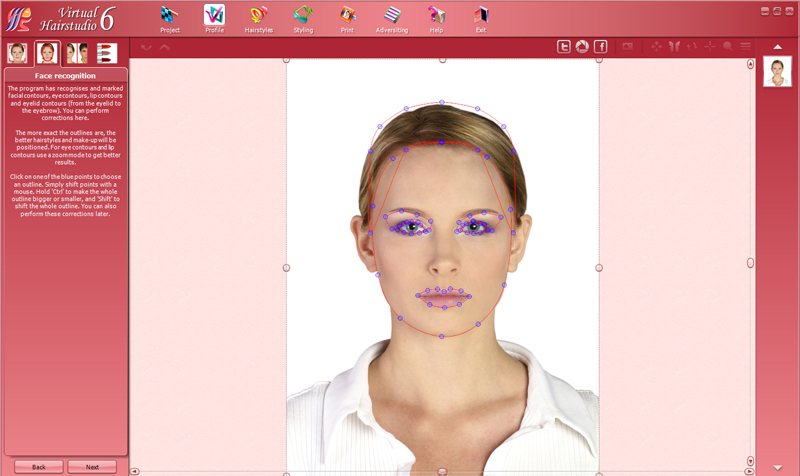 These features and much more – in the version 6. 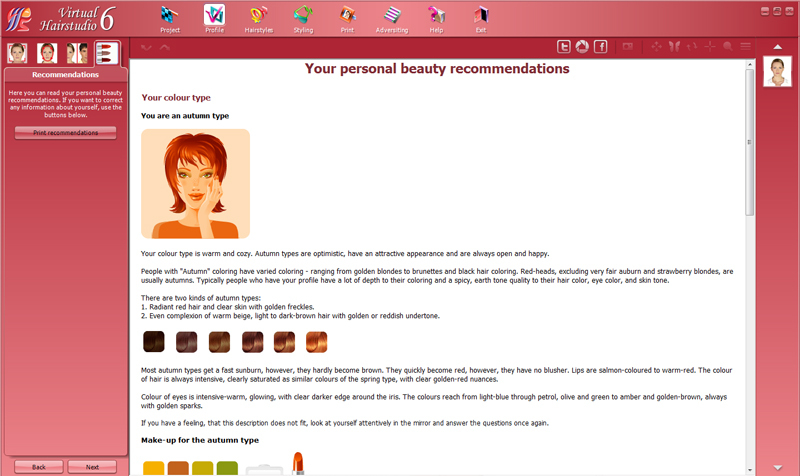 Many hairdressers regard the computer-aided consulting critically. 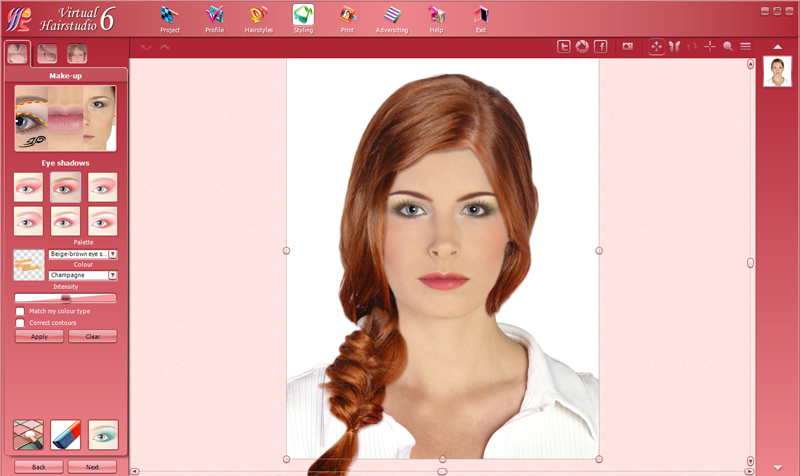 The most frequent arguments: the real hair cut would never look exactly like the image, not every hair cut can be made for every concrete customer, a good hairdresser does not need such help, and the computer only stands in the way. We show you that there arguments speak for and not against the computer-aided consulting. Let us show you the advantages! 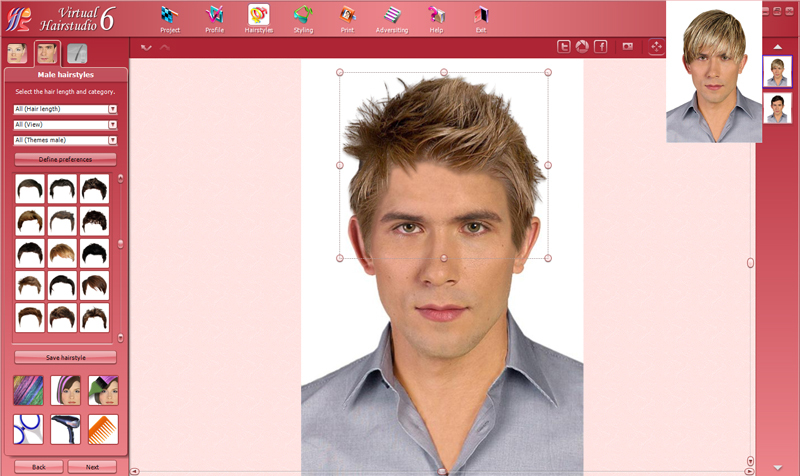 It is right that a good hairdresser does not need any photos, magazines or software to find and create a good hair cut. But the customer also has some ideas. And the problem lies oft in the communication and coordination of thhe both ideas. 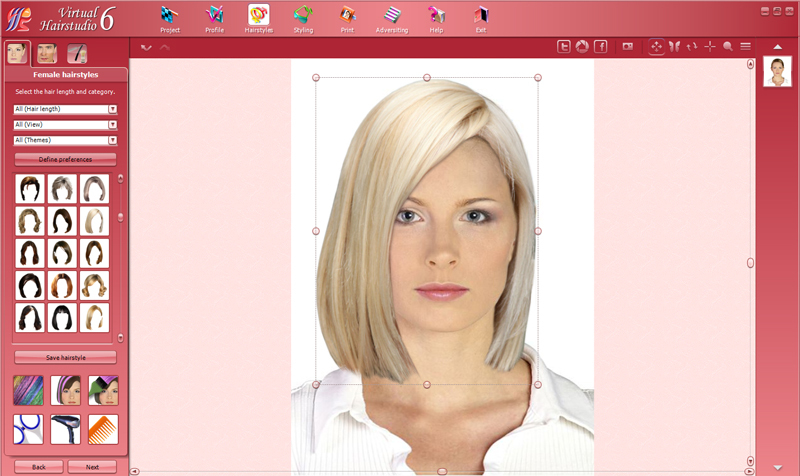 The studies show that more than the half of the customers are not happy with the quality of consulting in salon and therefore also with their new hair cut or color. And a dissatisfied customer is often a lost customer. Some customers come e.g. with a photo from the mode magazine. You can surely see if the dream hairstyle would be good for them. But they do not. You can try to explain… Or just show! Visualize it! And show your ideas too. It is also right that not every hair cut can be made from the hair of this concrete customer. But you as a hairdresser can explain why and offer alternatives – and show them! 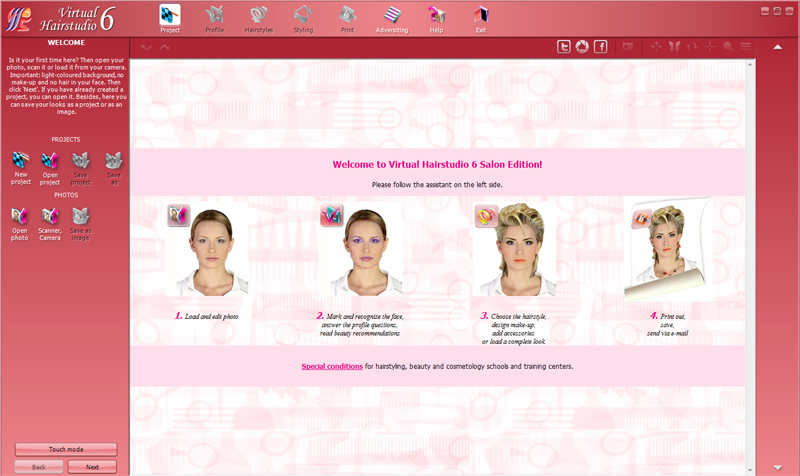 Please download the free demo version of Virtual Hairstudio 6 Salon Edition.